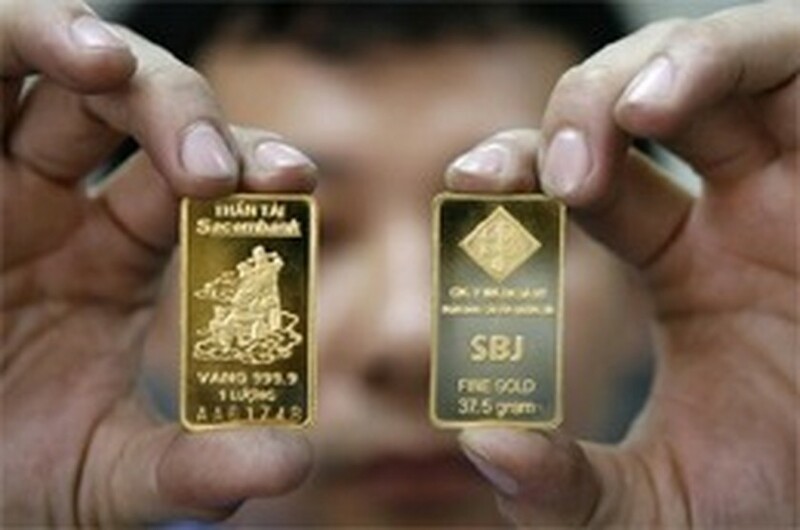 The price of gold in Vietnam rebounded by VND100,000 million a tael on May 21 although global price jumped by US$20 an ounce in the trading session last night in New York. Saigon Jewelry Company, the biggest gold shop in Vietnam, bought the metal at VND37.44 million and sold at VND37.51 million as of 9 am local time. Earlier, the metal was traded at VND37.55 million, the highest level in a week. Meanwhile, Hanoi-based Bao Tin Minh Chau Jewelry purchased gold at VND37.38 million and sold at VND37.49 million at the same time. 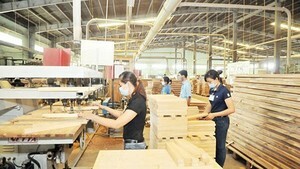 Domestically, gold fetched around VND200,000-300,000 a tael lower than global price. Spot gold gained 1.2 percent over last weekend on global market, whereas it only rose by 0.1-0.3 percent in Vietnam. Gold for immediate delivery advanced as much as $19.7 an ounce, or 1.3 percent, to close at $1,514.5 an ounce on the Comex in New York. Some major investment funds bought gold heavily amid new concerns over the Europe’s sovereign-debt crisis. In addition, concerns over rising inflation in China also supported the precious metal. The International Monetary Fund approved a $36.8 billion loan package to bail out Portugal from the public debt turmoil. The fund announced that it would immediately disburse $6.1 billion of this rescue package to soothe investors’ concerns. Meanwhile, Greece was still running the risk of being bankrupted. The euro exchange rate against the US dollar dropped 1.2 percent to $1.41 a euro. Holdings at SPDR Gold Trust, the world’s largest exchange traded fund backed by bullion, increased by 9.7 metric tons to 1.202 metric tons, the company’s website showed. Crude oil futures for June settlement emerged as much as 1.1 percent a barrel over the previous trading session to close at $99.49 a barrel on the New York Mercantile Exchange.